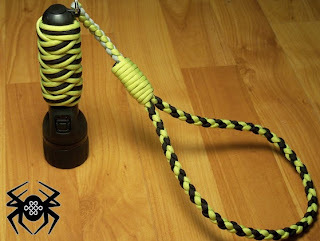 While researching my next knot tying project, I came across a video by KipKay that explained how to modify a cheap AA flashlight and turn it into a bright Police-type Flashlight for around ten dollars. Though I went slightly over budget, I was able to build nice flashlight for under $20. Click the Continue Reading button for more images and a complete list of the materials used in this project. All materials needed to build this flashlight are available at Wal-Mart, except for the bulb which can be purchase at your local Radio Shack (paracord not included, grab your choice of colors from Supply Captain). 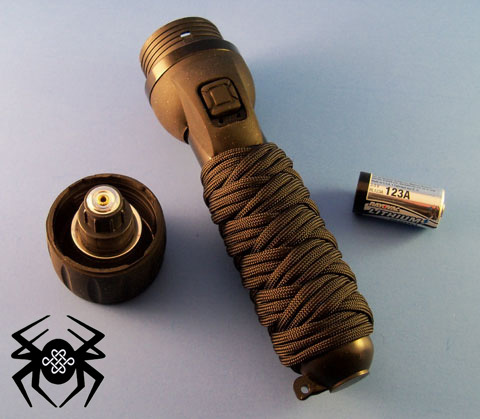 The type of flashlight you choose is your choice, you don’t have to use the one I bought, or the one that KipKay chose for his mod. Get a flashlight that was meant for two AA batteries and can be modified to use three 123 batteries and it needs to have an incandescent bulb and not LED. I bored out the dividers inside the flashlight and inserted the batteries, and then I changed out the bulb. To finish it off, I customized my flashlight to suit my own taste. 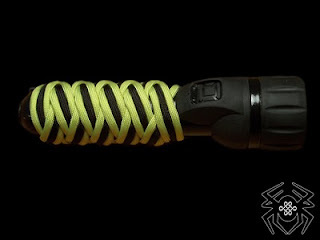 To customize the Rayovac I removed the rubber handle by prying a small flathead screwdriver underneath the rubber all the way around it until I could roll it off. I then applied two coats of Glossy Black spray paint and two coats of Clear Satin spray paint. 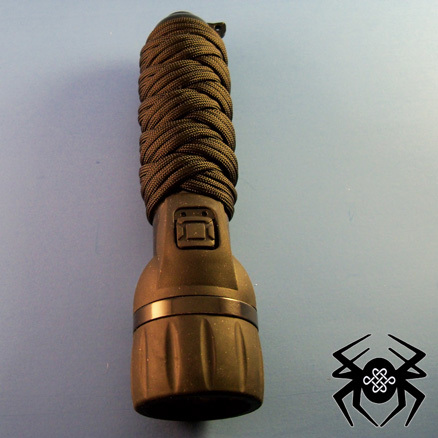 After it dried I was already starting to see a slick looking flashlight but I knew I could make it look better. 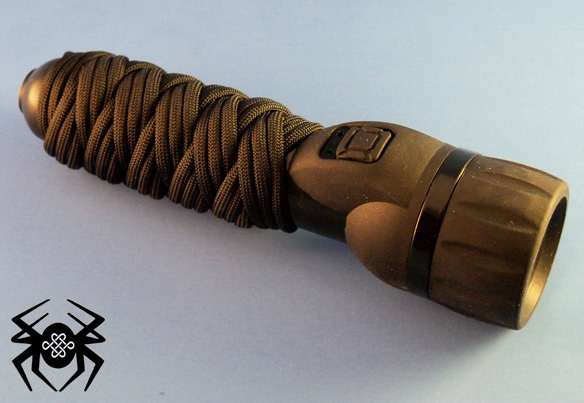 Since I wanted the “tactical” look, I used black paracord and tied a Long Two Bight Turk’s Head for the handle. 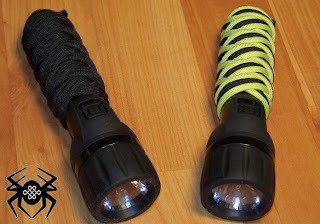 Once completed you will own a nice flashlight and you’ll have the feeling of job satisfaction knowing that you did the work yourself. This mod can be very dangerous. It is okay as long as you are only using the light momentarily. If you leave it on for any length of time, it will melt the reflector (and possibly even the lens). Use caution when doing this mod. @Anonymous you are correct, it will melt the cheap plastic reflector and I should modify this post to include that. 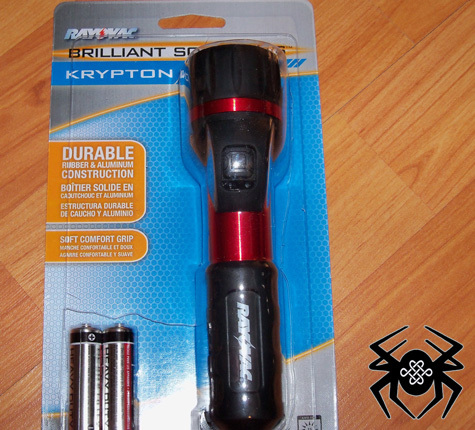 If you are intending to modify a flashlight as described in this post, do not purchase the flashlight that I used. 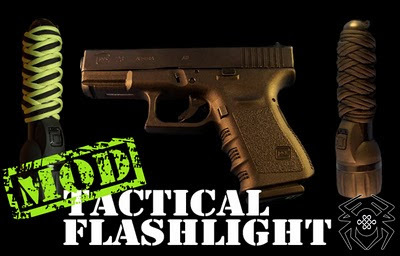 Instead, use a flashlight that has a metal reflector and that should be okay, but until I try for myself I can't be certain. You're very welcome, Chad. I had already modified one and was in the process of doing two more when the first one melted down on me (I was using it to see inside the others while removing the dividers with a chisel). It's too bad about the plastic reflector on this one. 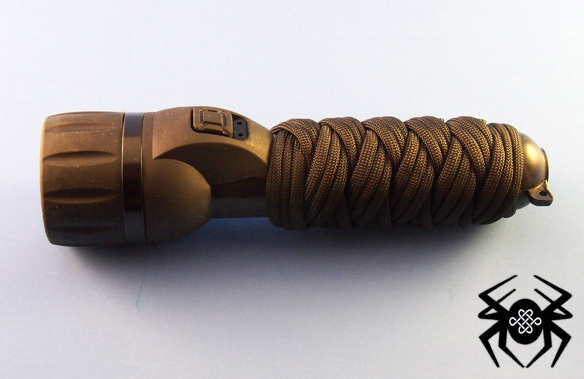 It makes a very handsome tac light mod. Be sure to post a recommendation for a better light to mod, if you come across one. Great tutorial! Such a nice counter-point to those crazy-expensive "tactical" flashlights out on the market today.